Vernon returned from feeding this morning with an idea to attend an auction. I grabbed some coats, threw myself together (thank goodness for baseball caps!) and we were off! While there’s the appeal of buying something you need or want or justcan’tpassupthisdeal… you can’t help but feel for the guy selling out. Cars and pickups littered the driveway… we parked in a dried up field with scattered corn husks spotting the dirt. Some buyers were serious, pulling flatbed trailers behind mud spattered trucks. We joined in the buyers’ walk, listening as the auctioneers called for bids on wrench sets, hammers, and shovels. Wandering through the ranks of tractors, discs, balers, corral poles, and wire, you meet with friends and neighbors… Talk about the weather, the price of cattle, and kids. Stick your hands in your pockets and kick the dirt while starting to shiver in the slight breeze. Admire the creativity in the home built feeder or skid for a diesel tank. Listen to the engine as someone starts up the old Ford to see how it runs. 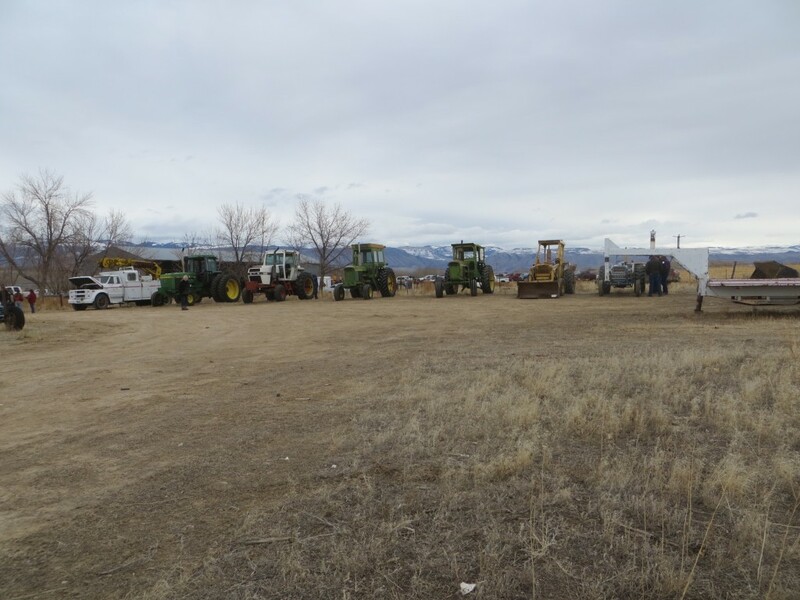 Walk past the crowd, the auctioneer, the line of vehicles, and cross the dry field to your pickup for your return home… Where you hope like hell you don’t ever have to hold an auction. Same sentiments all around for me. I’ve been to estate sales and auctions, and after awhile it made me too sad. One of the places I went was definitely that of a hoarder of clothing – piles and piles and piles of unworn clothing and accessories and no room to walk. Never again will I do that! I hope the auction you highlighted was a success for the family and perhaps the start of a new venture. A lifetime of labor going, going, gone. Sad. It is sad. It often represents a life or an era that has ended. I pray that the closing of this door only brings them to a better open door. I feel that way at estate sales sometimes. Walk around and look at all of the stuff and remember that these things were important to that person and their family. I love going, and sometimes buying, but it can be sad. I love auctions, but I get a sense of desolation about this one.